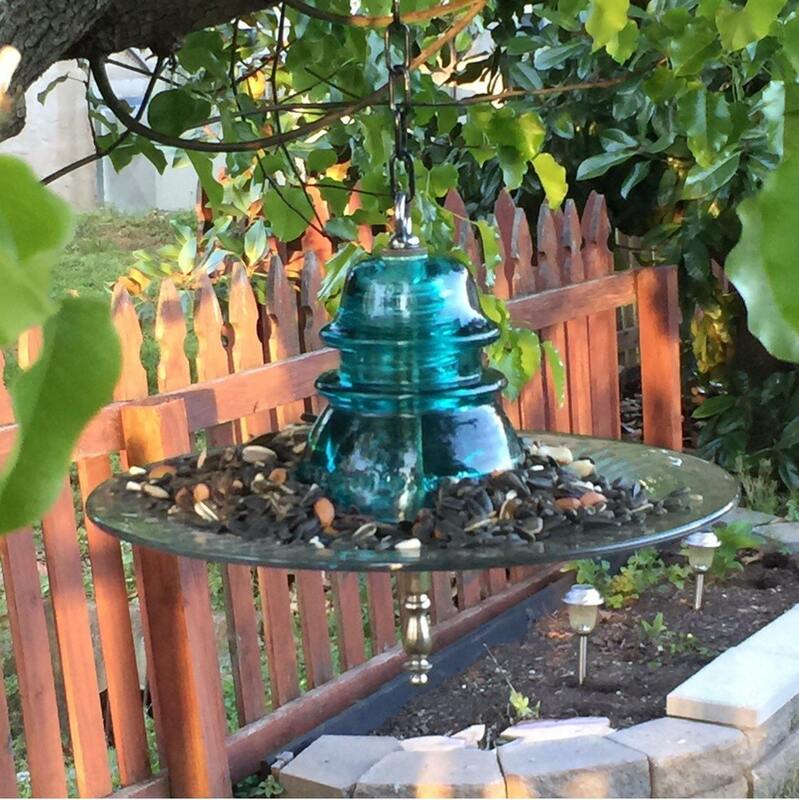 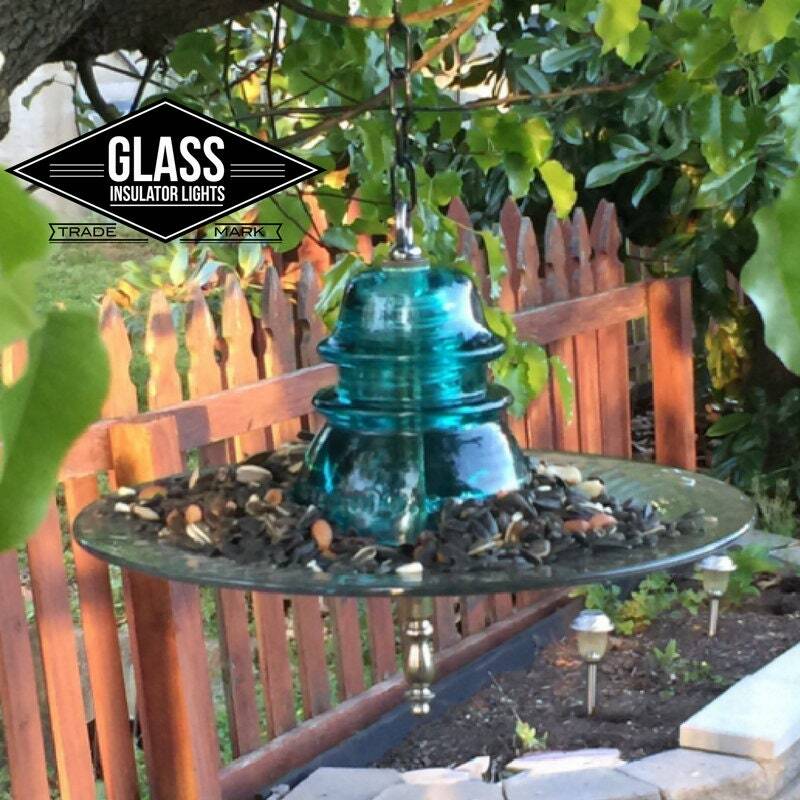 Brighten up your garden and landscape with this beautiful handcrafted bird feeder constructed from a vintage aqua blue Hemingray railroad telegraph insulator. 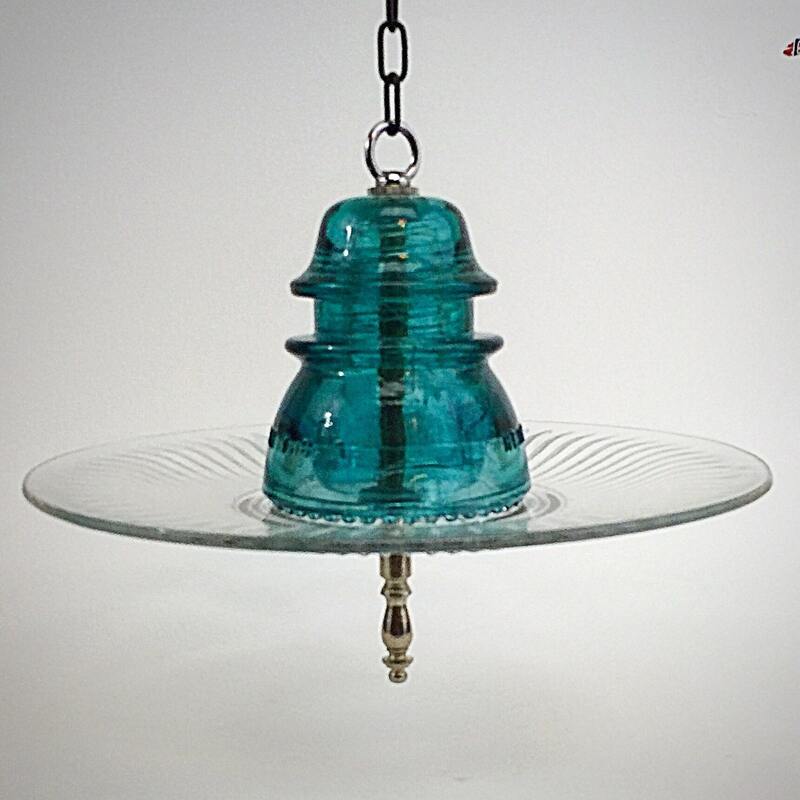 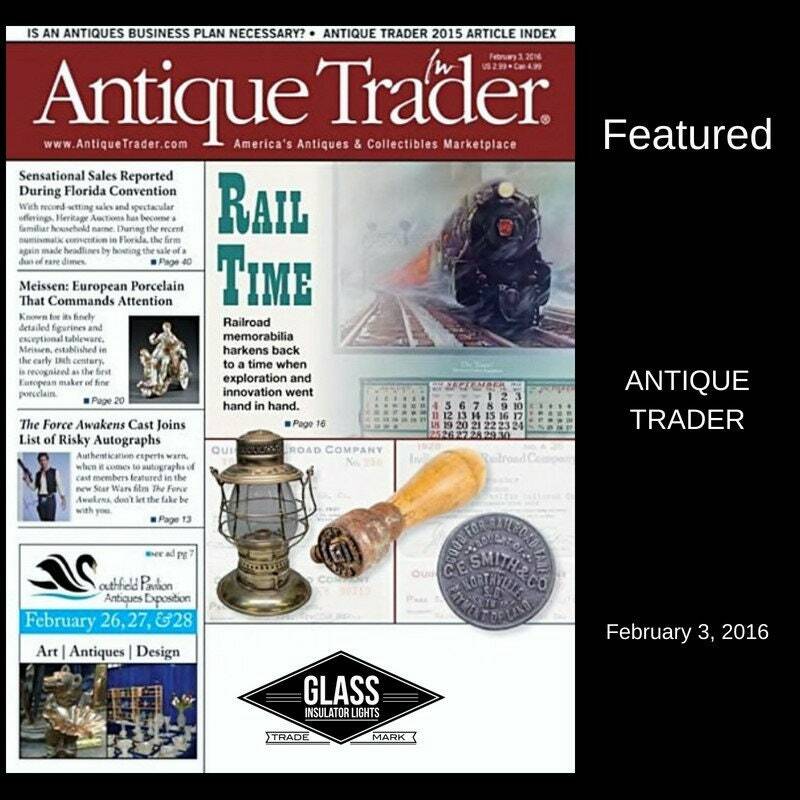 The Hemingray Glass Company produced many different Insulator styles and colors for over 118 years. 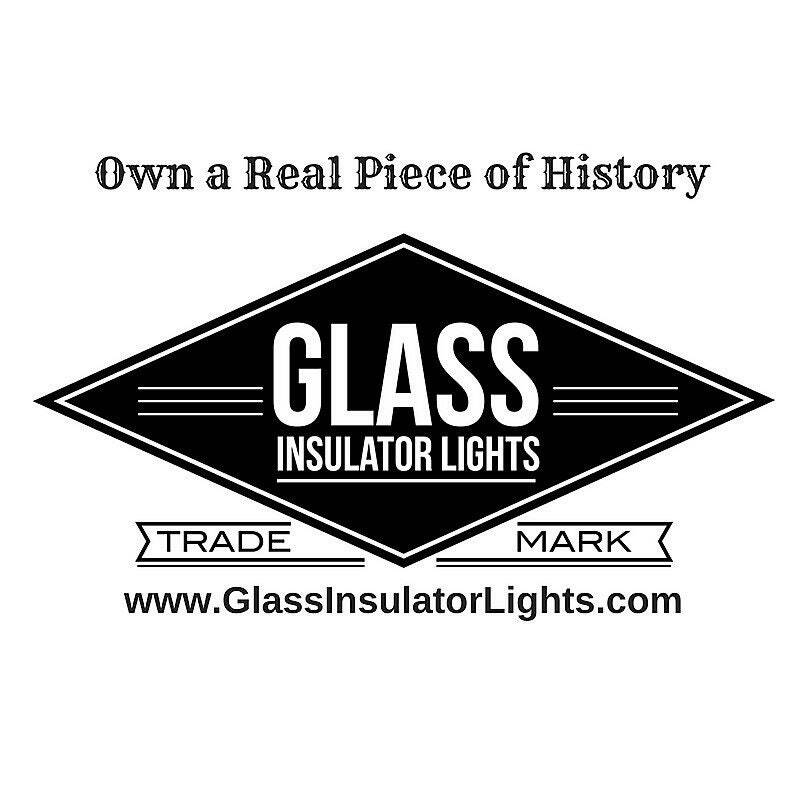 Their glass making process is an elegant remembrance of early American innovation and quality. 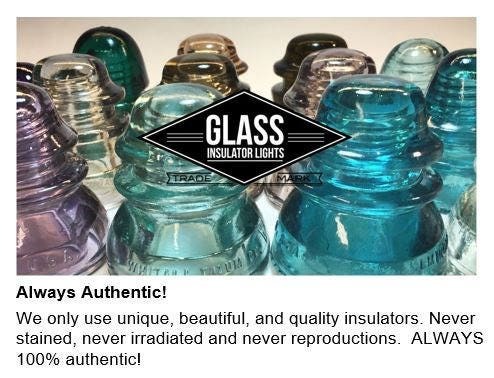 It's this process that made every insulator unique, rich in color and in history. 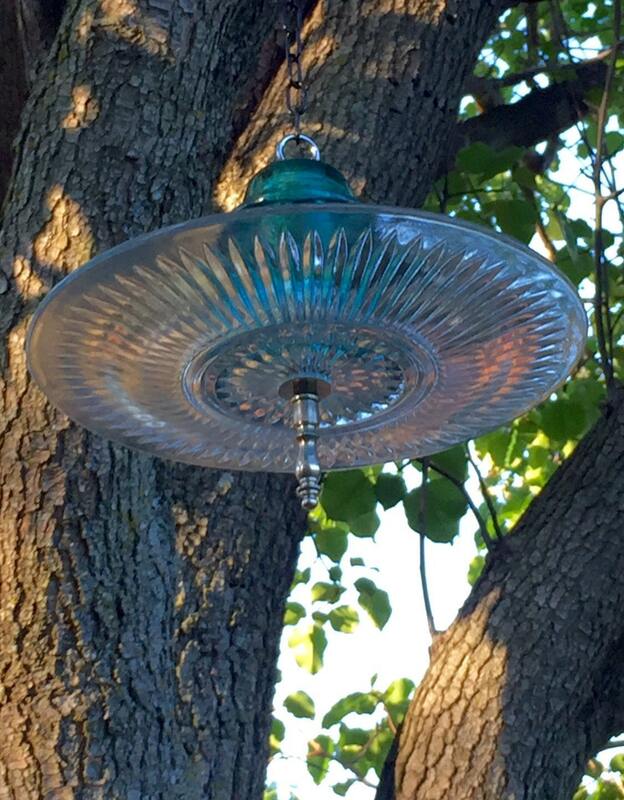 The deep aqua blue vintage glass comes to life when the sun shines thru the insulator adding beautiful color to your outdoor spaces. 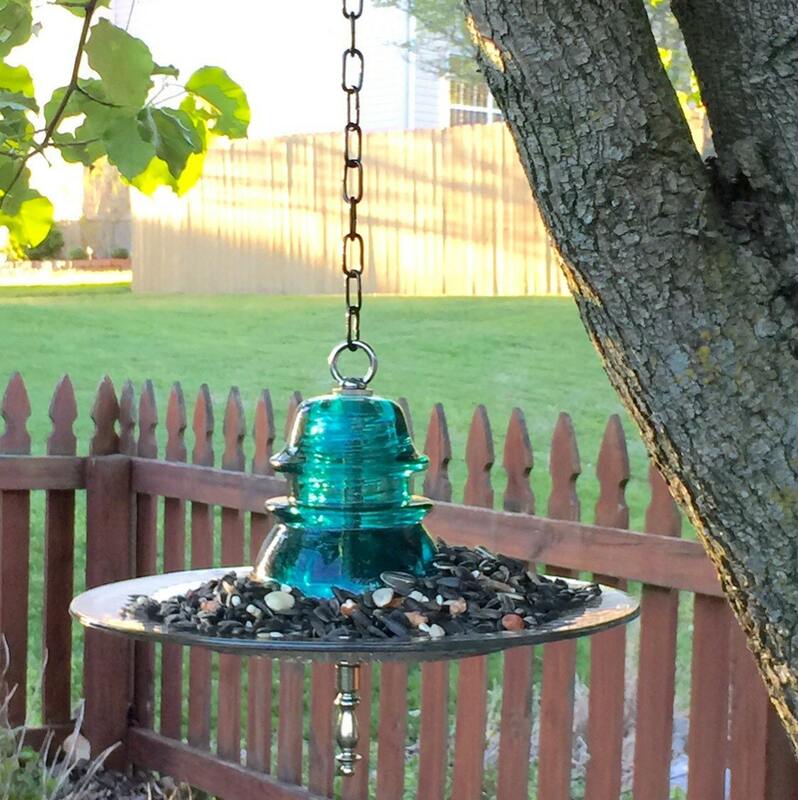 Add the perfect touch to your Glass Insulator Bird Feeder with our 7-inch cast iron hanging hook. 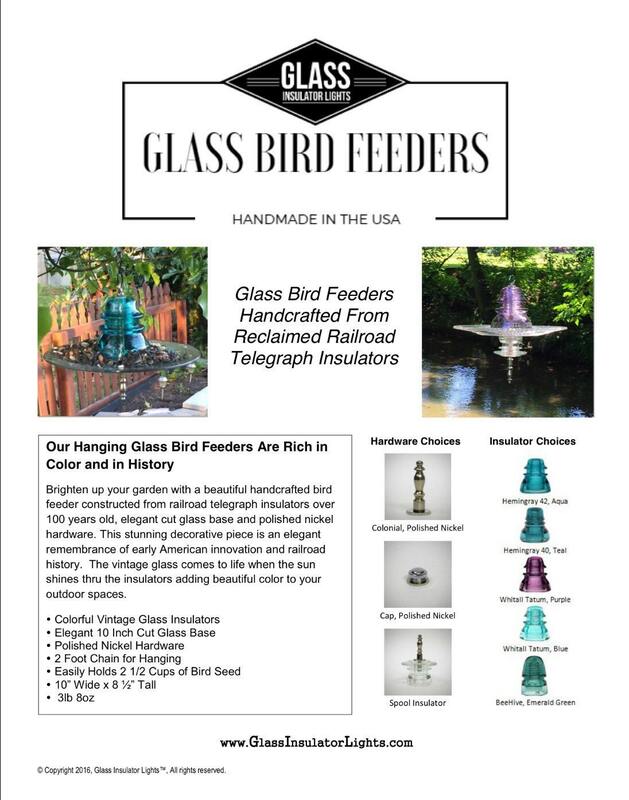 Hooks are discounted at time of purchase. 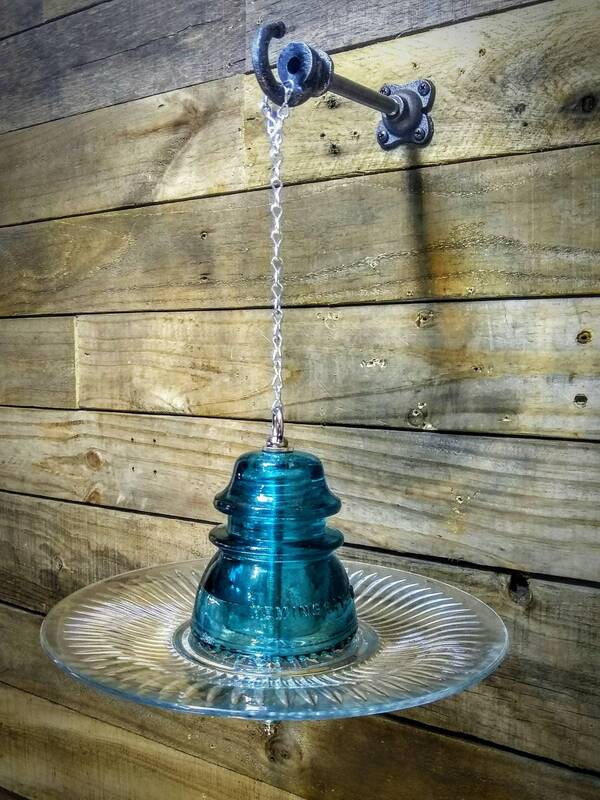 Please note mounting screws are not included.